The US/North American branch of Stop the Destruction of the World was formed in 2007 by a group of people from the US and Canada who follow the scientific and philosophical orientation of psychoanalyst, philosopher and social scientist, Norberto R. Keppe, the creator of Integral Psychoanalysis or Analytical Trilogy, and author of over 30 books on psycho-socio-pathology. Keppe’s work provides a comprehensive overview and analysis of the psychological and social causes of our myriad of problems, as well as the tools to solve them. The end result, then, is to vastly improve the quality of life for all human beings, the society we live in, and the planet as a whole. The Stop the Destruction of the World Association was founded in Paris in 1992 by psychoanalyst and writer Cláudia Bernhardt de Souza Pacheco. Today, this vibrant organization is an international group devoted to the preservation of life and nature. 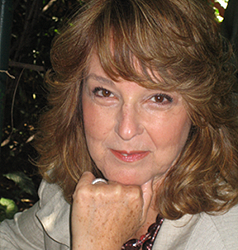 Dr. Cláudia Bernhardt de Souza Pacheco has been a psychoanalyst and writer for over thirty years. In addition to her work as the founder and president of the International Stop the Destruction of the World Association. She has organized and chaired many international conferences in Europe, and North and South America. Together with Dr. Keppe, she founded the American branch of the International Society of Analytical Trilogy in New York in 1983, where she was active as the society’s president until leaving the U.S. for Europe in 1988. In 1990, she created the Institut Supérieur de Psychanalyse Intégrale – École Norberto Keppe, with headquarters in Paris and affiliated branches in London, Lucca, Moscow, Stockholm, Helsinki and Lisbon. The Institute was formed to develop lectures and courses based on the work of Norberto Keppe. She also founded and published Savoir c’est Pouvoir, a free scientific-cultural magazine which was distributed in Paris and many other French cities for several years. Dr. Pacheco’s extensive research and clinical practice with clients from all over the world have culminated in several books, including her best-seller, Healing Through Consciousness: Theomania and Stress. 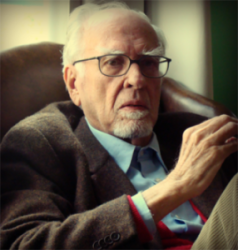 Psychoanalyst Norberto R. Keppe received his training in Vienna, where he worked with professors Viktor E. Frankl (Polyclinic Hospital and School of Existential Analysis), Knut Baumgarten (Child Guidance Clinic) and Igor Caruso (Deep Psychology Circle). Dr. Keppe was a guest professor for a number of years at the Pontifical Catholic University (PUC) in São Paulo Brazil and the University of São Paulo (USP) School of Medicine, among other educational institutions. He returned to Brazil in 1997 where he developed, among other activities, his Trilogical psycho-linguistic method utilized by the Millennium Language School.